Congratulations to the new Exec Team for the 2017 Big Event! We are all excited to make our 16th annual Big Event bigger and better on April 8, 2017! Stop by our booth at Gobblerfest on September 2 for awesome giveaways and be on the lookout for committee applications; they should be posted in October. Thank you to everyone who made this year’s Big Event a success! Applications to join the Exec team for Big Event 2017 are NOW OPEN! 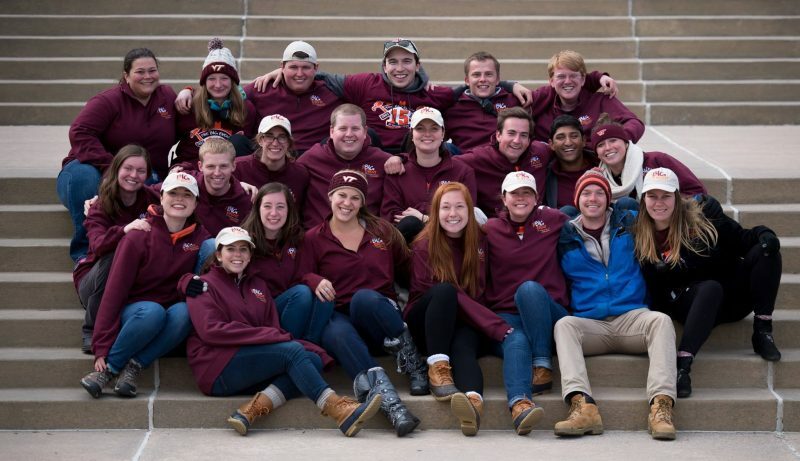 A little snow couldn’t stop Ut Prosim in Blacksburg. 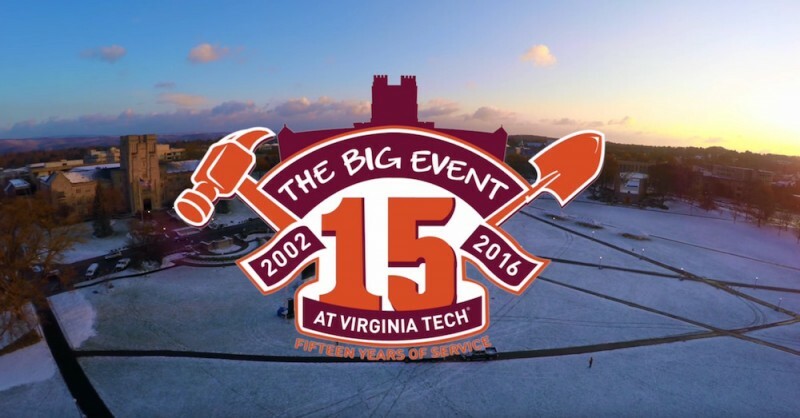 As we celebrate 15 years of The Big Event, we’d like to say thank you to all the volunteers, committee, and exec that made this past weekend possible. Saturday, 12:00pm UPDATE: Thank you to the thousands of Hokies who came to the drillfield this morning for One Big Day, One Big Thanks. We are incredibly proud to live out Ut Prosim by giving back to the community, even on a day like today, typical Blacksburg weather, with bursts of snow and sunshine. If you are a resident with a project and have not heard from your team, please call 540-440-1244 and speak with someone at our headquarters. Saturday, 8:30am UPDATE: The forecast appears to be cooperating with us. Volunteers, please check-in to the Project Tent and visit with sponsors by 10:00am. Opening Ceremonies start at 10:00am and tool distribution is from 10:35am – 10:45am. We encourage you to layer up in many layers and we look forward to a great day! Thank you so much for your support! Saturday, 7:30am UPDATE: The safety of our volunteers is our primary concern. We continue to monitor the weather and will make a decision at 8:30am. We have no plans to cancel at this time. We will post all updates on our website. We appreciate your understanding in this matter and we look forward to a great day! Thank you so much for your support. Saturday, 5:00am UPDATE: The Big Event begins with registration at 9 AM. Please give yourself ample time to scrape your car of any light snow that may have stuck overnight. 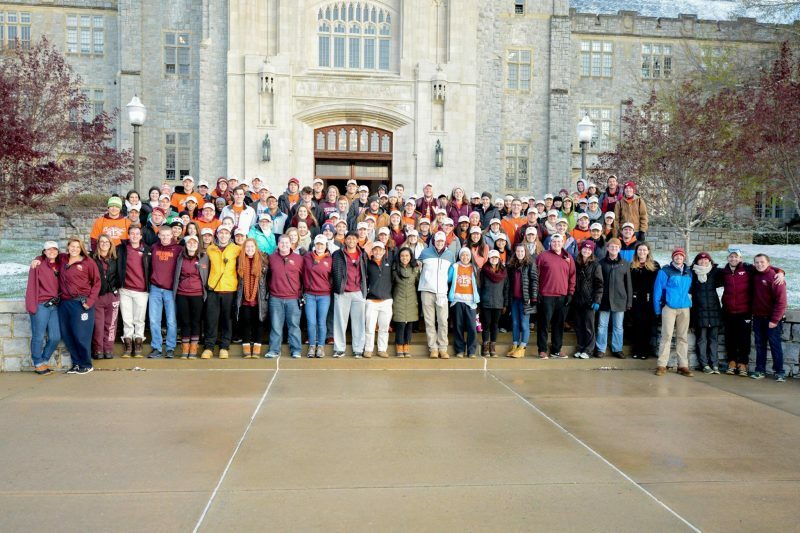 We look forward to seeing all 9,200 Hokies giving back to over 1,200 residents. Bundle up in layers and we will see you at 9am on the Drillfield! 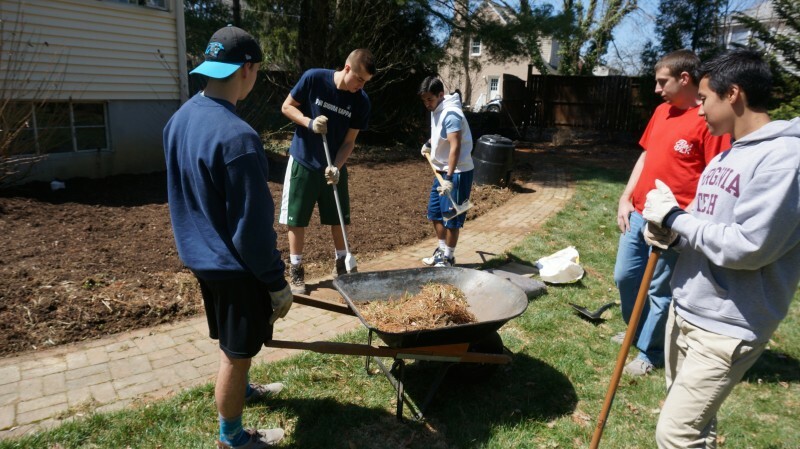 The Big Event is this Saturday, April 9th! We look forward to serving you this weekend. Here are a few important reminders for the day-of. Please also note that we are receiving hundreds of emails and calls and we are responding as quickly as possible. Please read carefully below, which may answer any questions. Currently the forecast is calling for a cold, windy day with a chance of precipitation. The Big Event is NOT cancelled at this time and will only get cancelled if the weather becomes dangerous for volunteers. If your project cannot be completed in cold weather, we suggest looking for other tasks volunteers could complete inside such as washing windows or basic indoor cleaning. We have told the volunteers to dress appropriately for the weather so most outdoor projects should go on as planned. With that being said, please take the well-being of volunteers into account. Please give volunteers ample time to warm up while working at the job site.